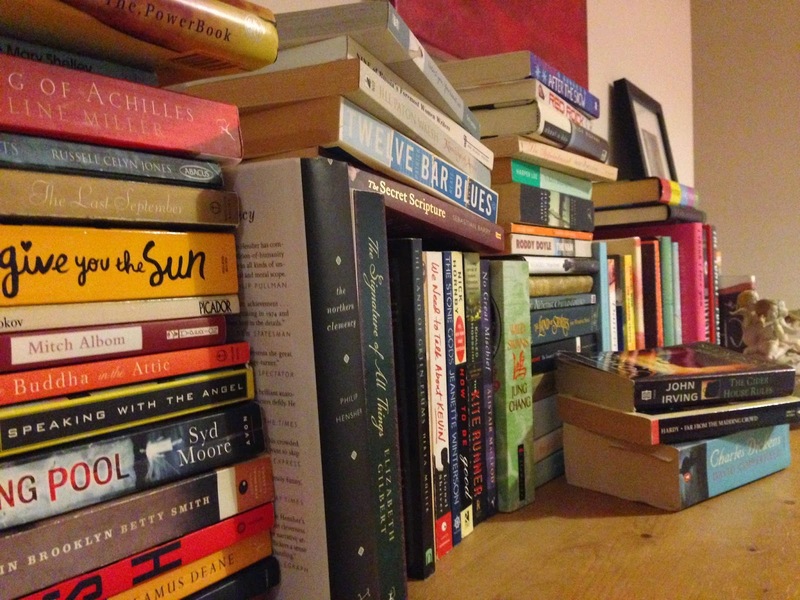 Unlike many keen readers and writers, I’m not a book hoarder. I don’t have stacks of musty paperbacks heaped in my hall and certainly haven’t got hundreds of boxes in the garage. 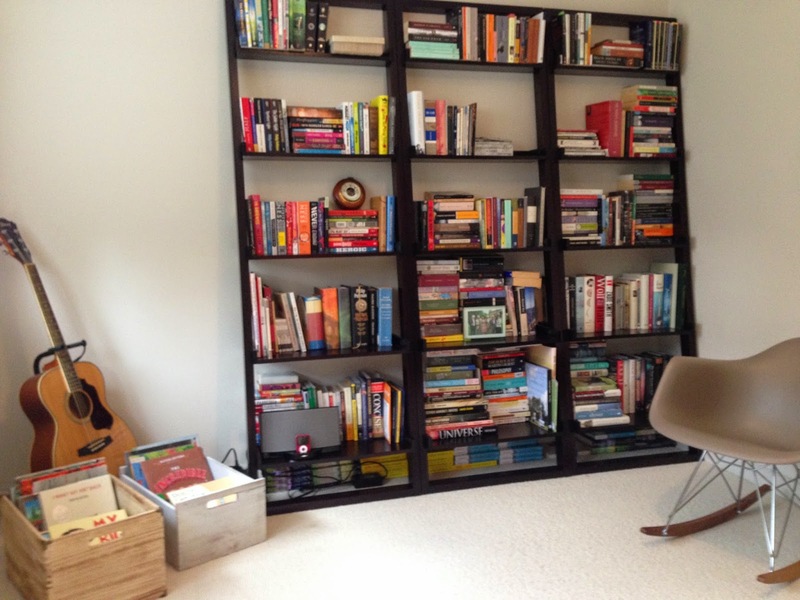 In fact, I hate clutter and for me being a book lover means only keeping those books which are either really beautiful or very useful, and depending on the book, I keep it in a specific place in my home. The first place you’d go to look for a book in my house is to the library. Oo-la-la, sounds posh, dunnit? Actually, this was a junk room that I decided to convert into a space for reading and listening to music and which houses a variety of books belonging to the whole family. You’ll see on these shelves classics from Middlemarch to yoga anatomy books. I shelve the poetry, plays and short stories together and will regularly clear these shelves to make space for newer, prettier books. I also have a small non-fiction section including many self-help books encouraging me to be an all round better human being! A sample of some of my teen novels are on the left, all of which I’ve read. I’m not a fan of keeping books I haven’t read. Makes me twitch a bit. My favourite of these books is A Monster Calls by Patrick Ness. It’s a book I wish I’d written myself. I love it. On the bottom right you can probably just make out some lovely hardbacks. Most of these are signed by the authors (but not all). My favourite is probably Nora Webster which I received as a gift recently when on a school visit in Dublin. The librarian had actually managed to get Colm Tóibín to dedicate it to me. Makes a change from chocolates or flowers (though I like getting those too, obviously)! 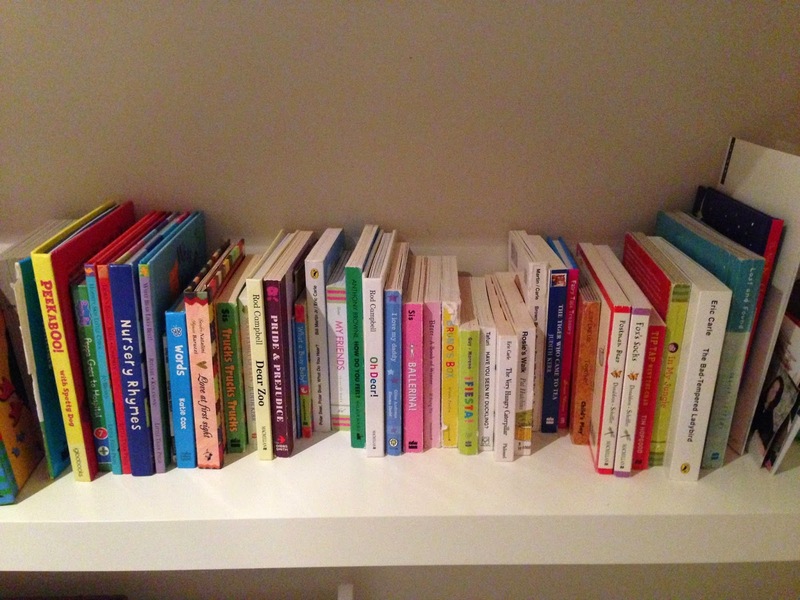 On the floor next to the shelves in the library are boxes which contain some of my daughter’s books. I love these boxes because she can flip through and choose for herself which books she wants to read. You might be able to see Don’t Let The Pigeon Drive the Bus in the picture (probably not! ), which isn’t just one of her favourites but mine too. 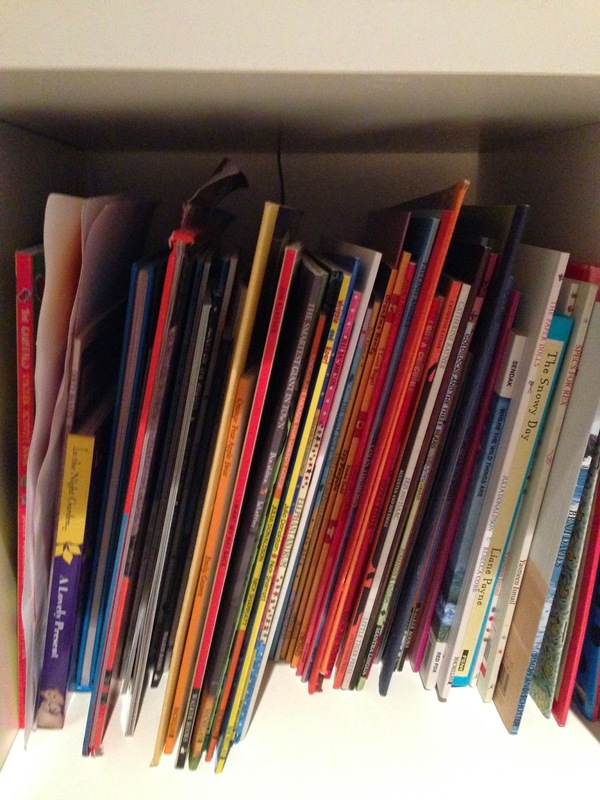 I have to admit to being a little addicted to buying picture books at the moment and I’m not quite as good at getting rid of these as I am of getting rid of musty paperbacks or proofs. I also tend to tear out illustrations I love so I can decorate the walls of my house! 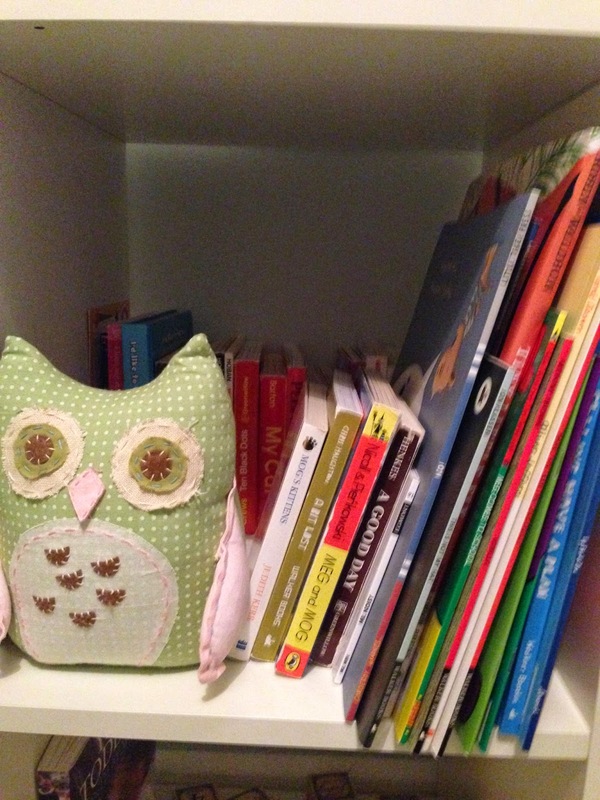 My spare room is the place I put books that I’m happy for others to read and take with them when they leave. This isn’t because I don’t like the books, occasionally it’s because I want to find someone to talk to about books I love. A proof copy of The Signature of All Things has been on this shelf for too long and I fear that by the time a houseguest reads it, I’ll have no recollection of the book whatsoever. Note to self: put short books on this shelf. One of my favourite book shelves is in my office. My workspace is incredibly sparse – I find that physical clutter makes my mind messy – so I only have a tiny selection of novels along with editions of my own books. Here you’ll find my second favourite book in the whole world: The Passion by Jeanette Winterson which I read when I was seventeen. It opened up a whole new world for me in terms of the power of language and made me want to write. I’ve had that edition for such a long time and only recently got her to sign it when I met her at a reading in Manhattan. I blushed and stuttered, but she was lovely. 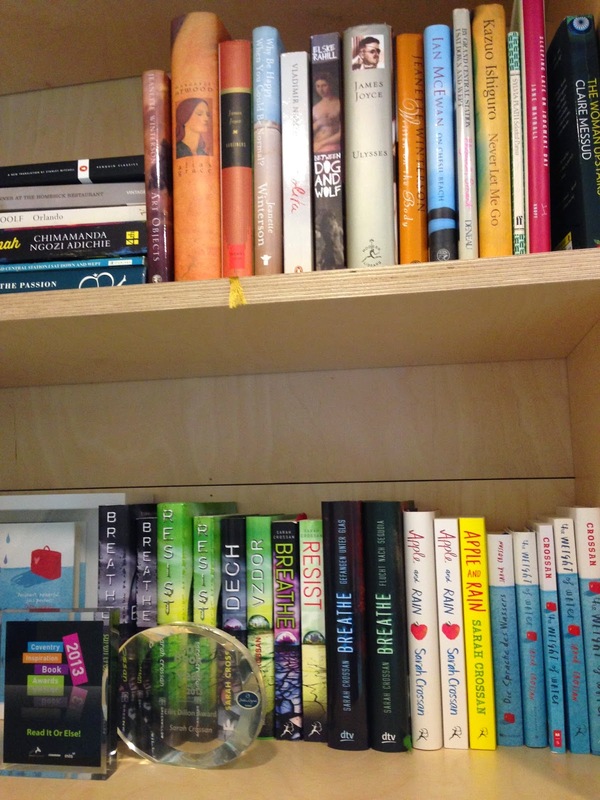 I also keep my own books in my office -- all editions including foreign. 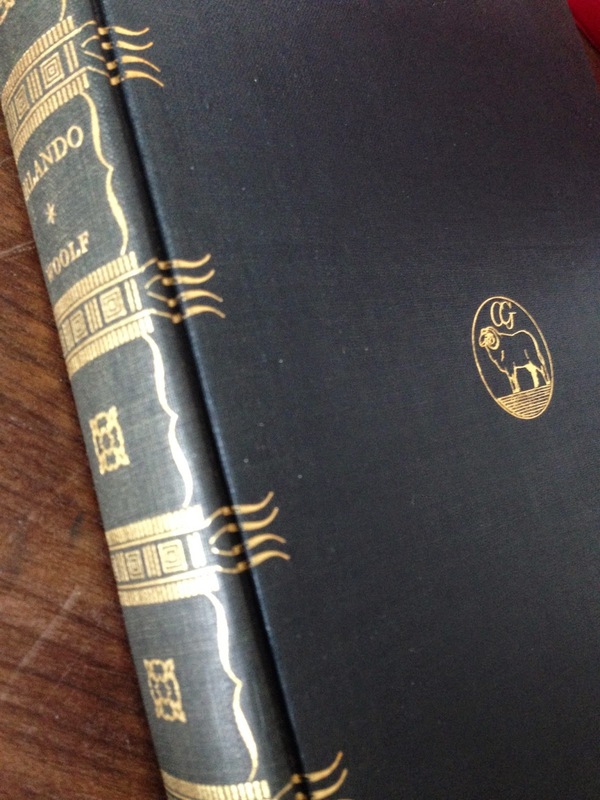 And the final pictures I’m including are of my favourite of all favourite books – Orlando by Virginia Woolf. I have several copies of it, but nothing like this. When I signed my very first book deal I spoke to a rare books seller in Oxford and asked him to find me a special edition of Orlando. He did. 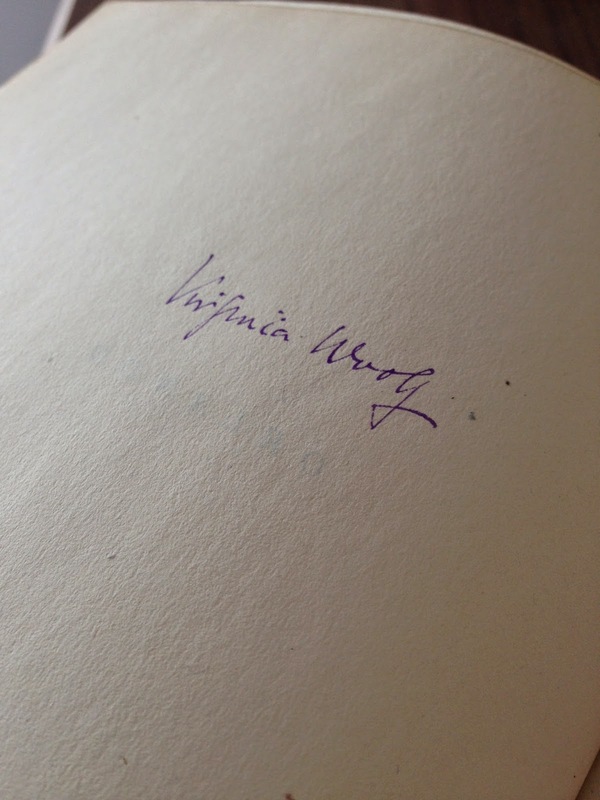 The one I now own is a limited signed edition in Virginia Woolf’s purple ink. I don’t put this book on a shelf and I’ve never read it from cover to cover because it’s too special and rare. And it’s not just my favourite book. It’s my most prized possession.